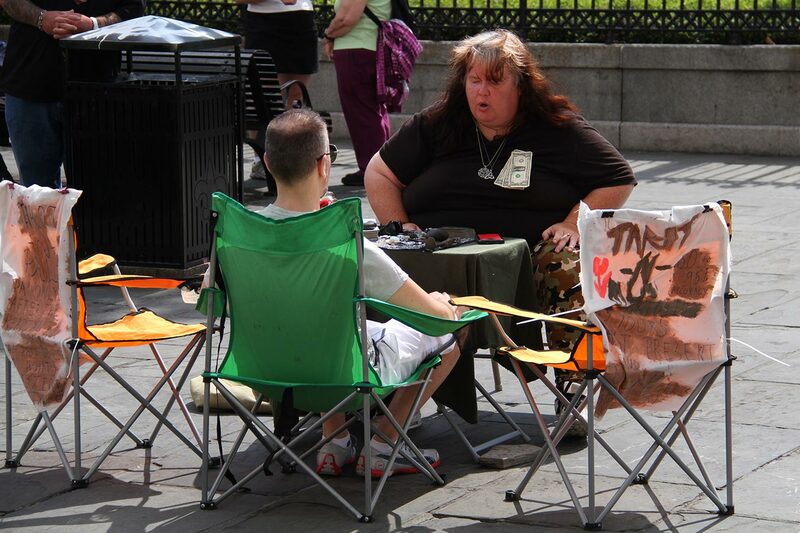 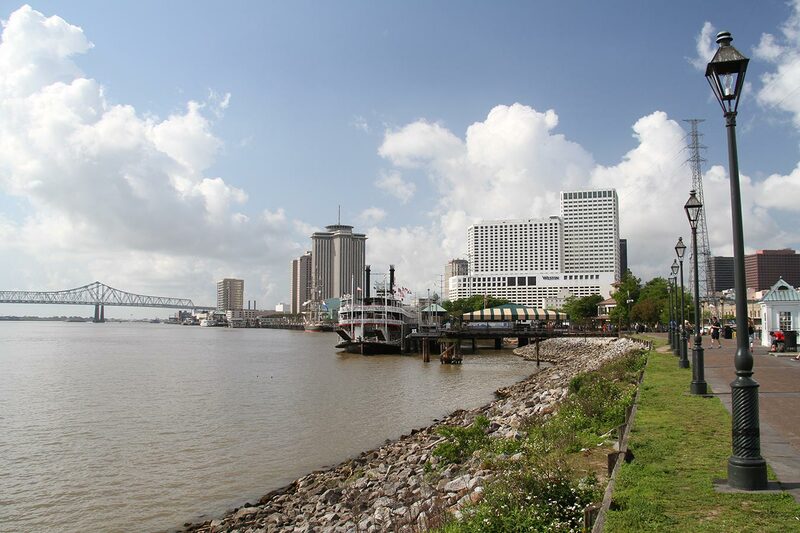 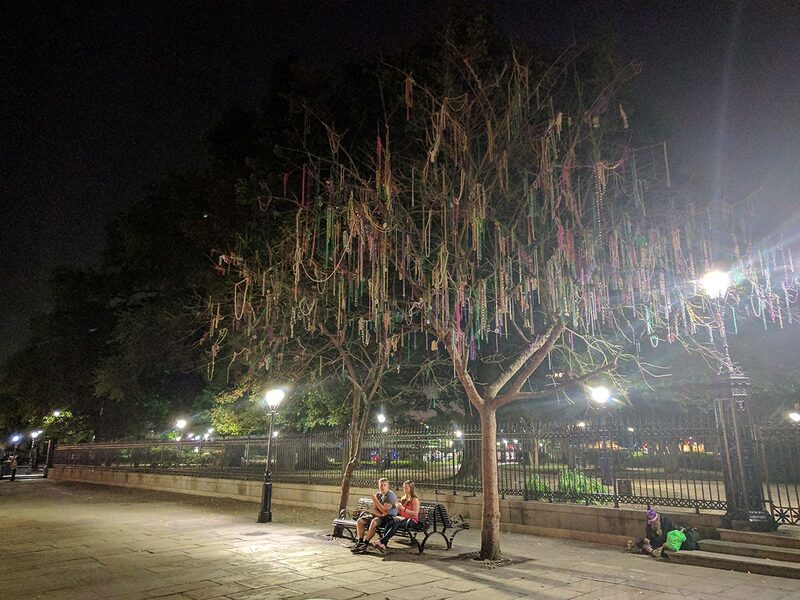 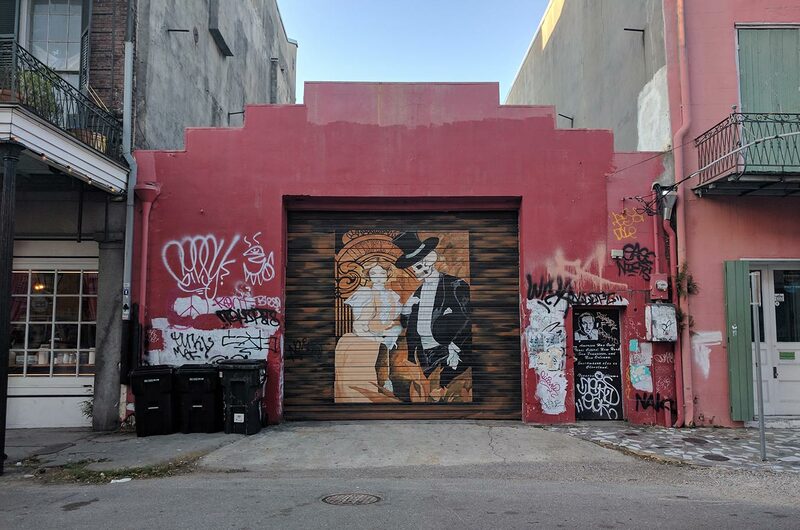 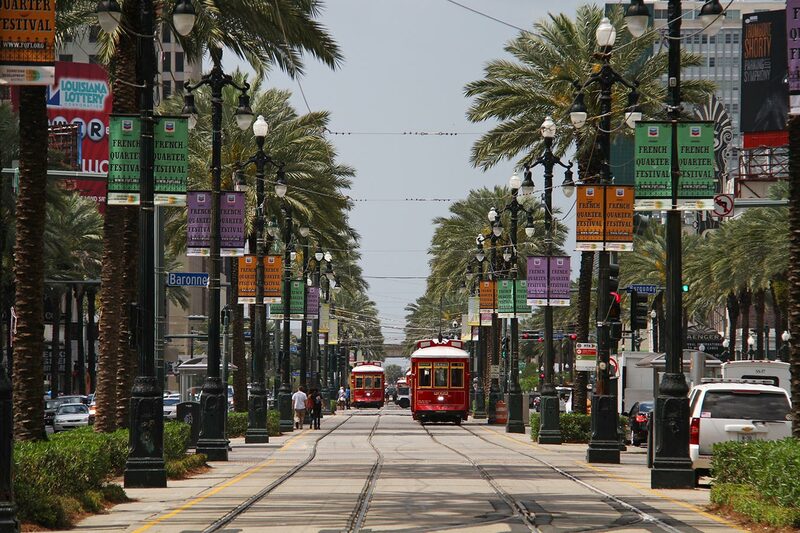 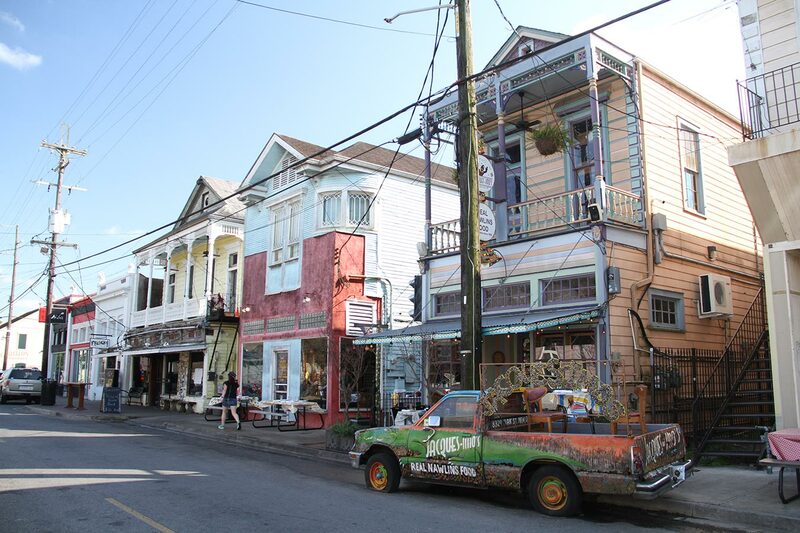 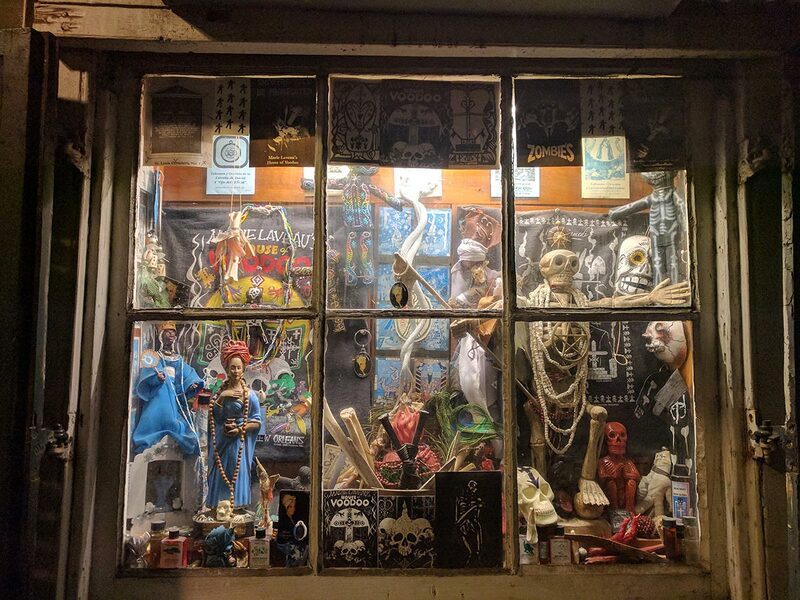 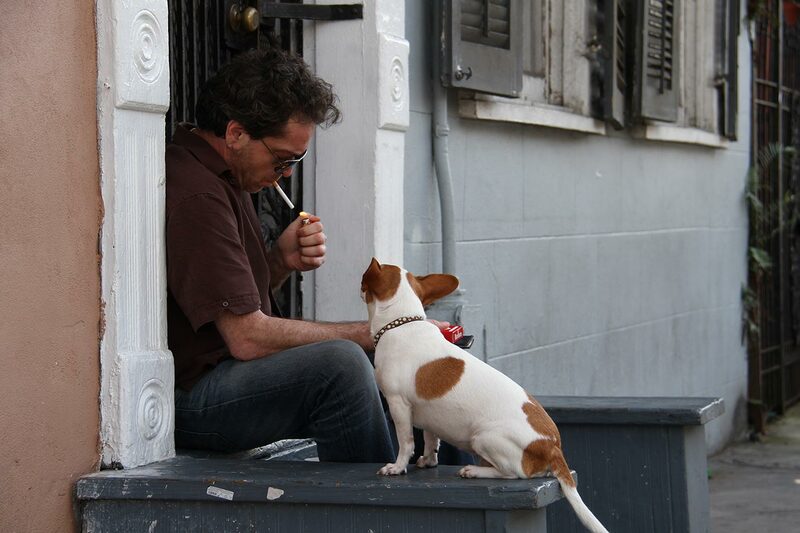 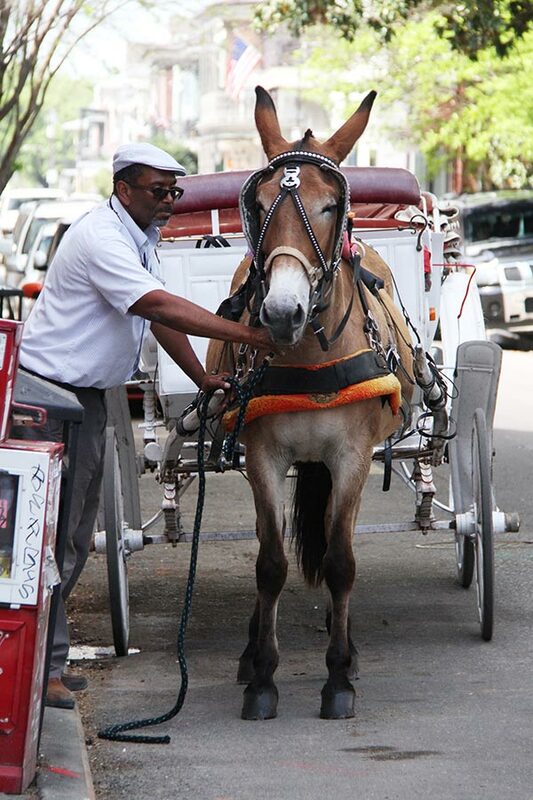 In New Orleans: the French Quarter - Where is frenchie? 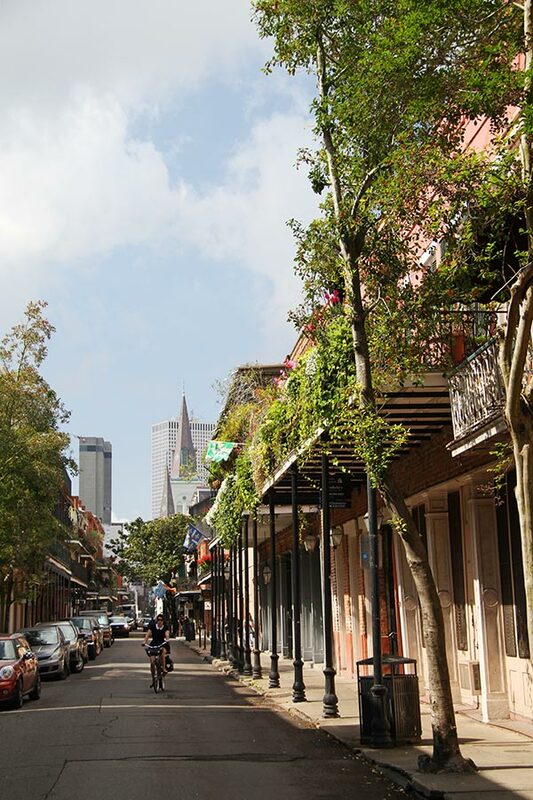 Driving into the French Quarter (Vieux Carré) I’m already stunned by its charm. 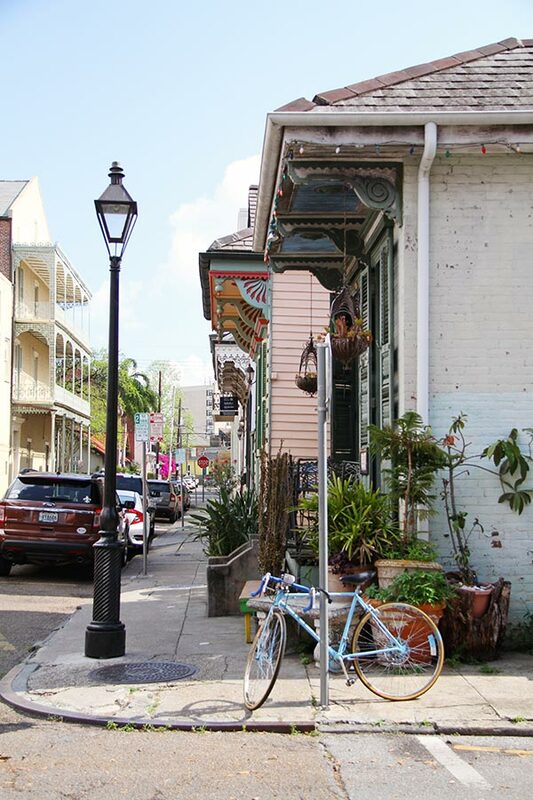 The rows of houses, colours, balconies, ferns, gas lights… And it gets better when people start playing music in every corner. 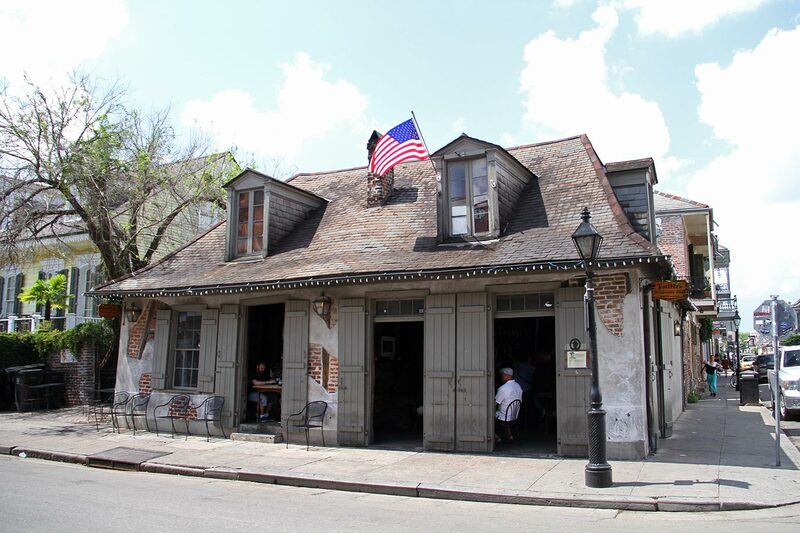 And they have beignets! 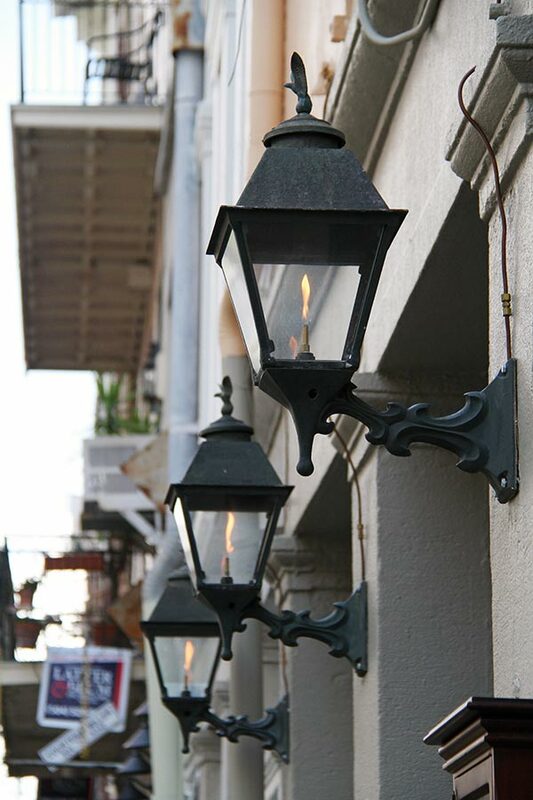 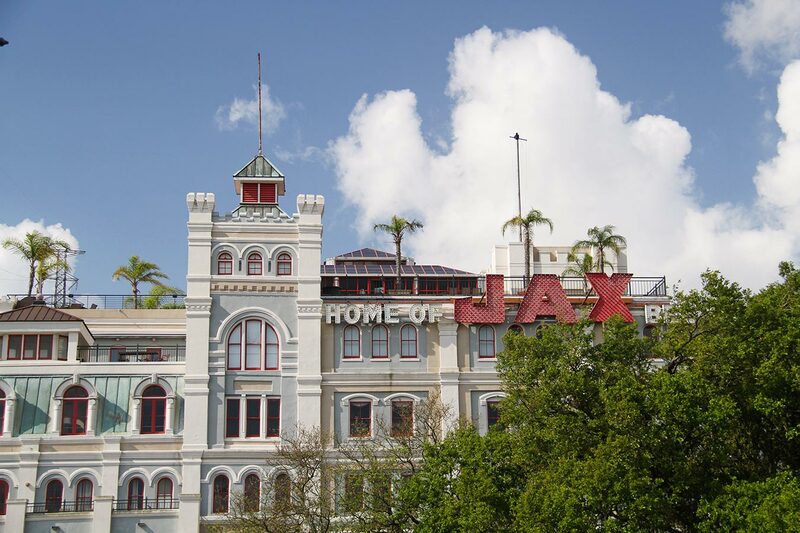 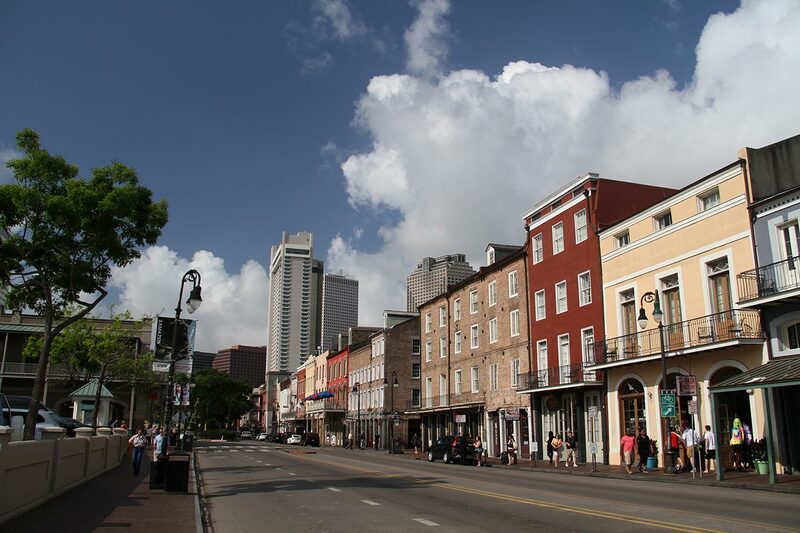 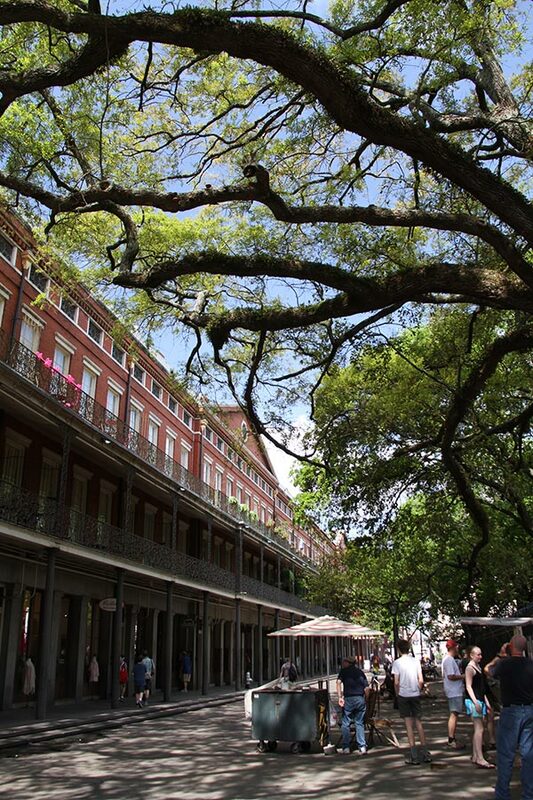 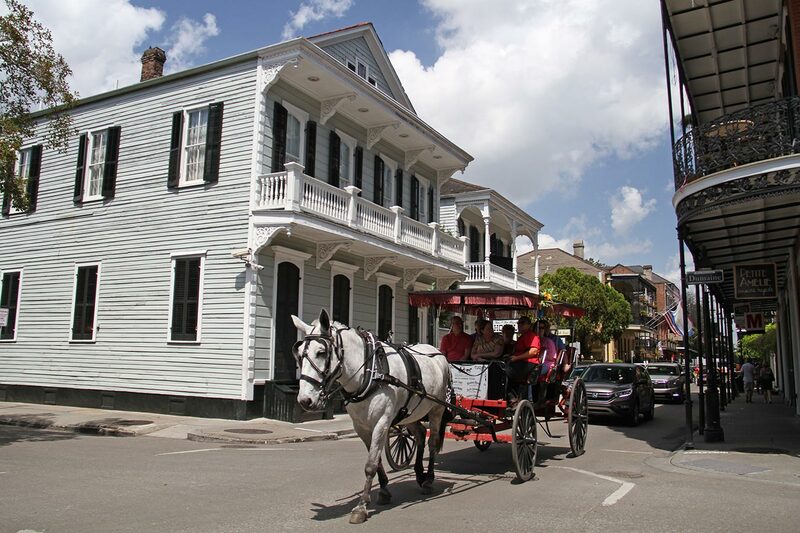 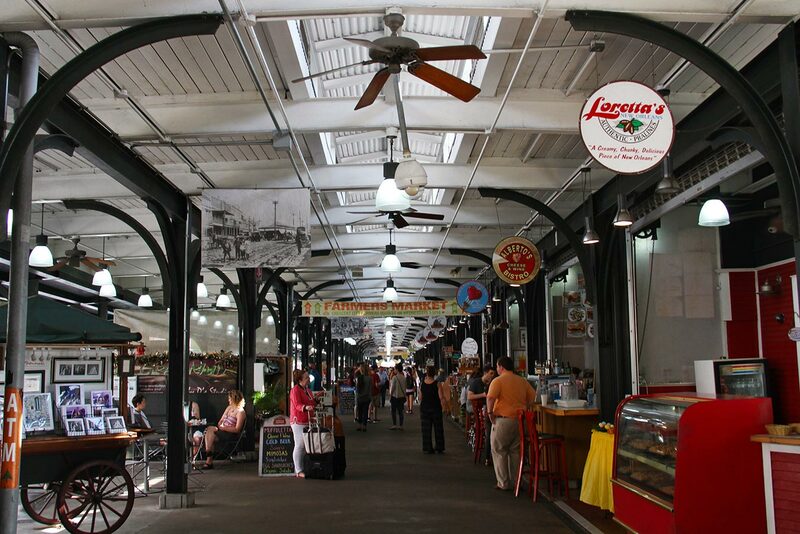 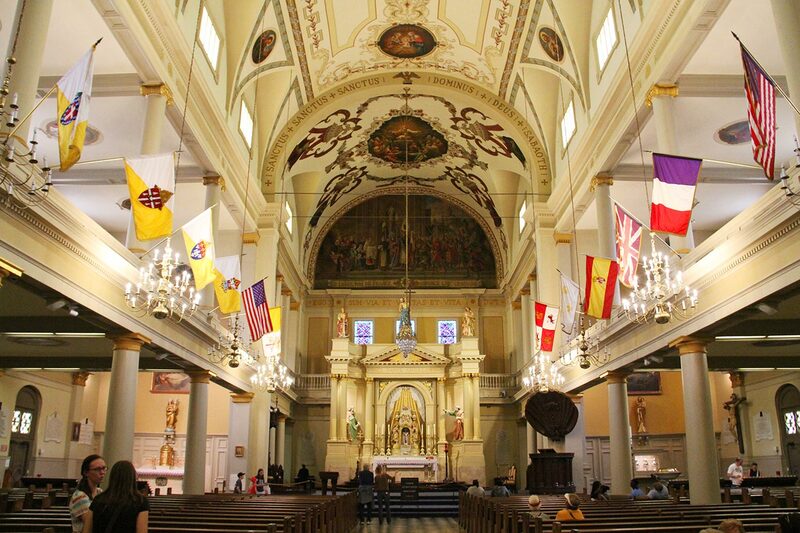 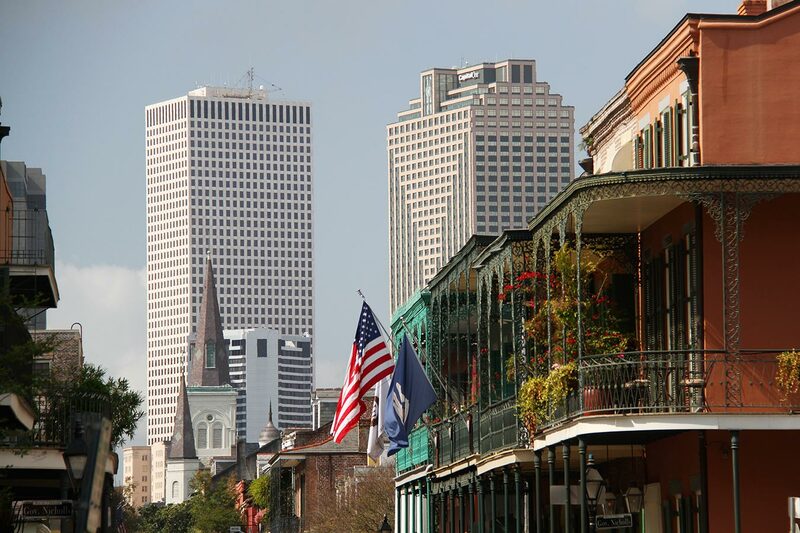 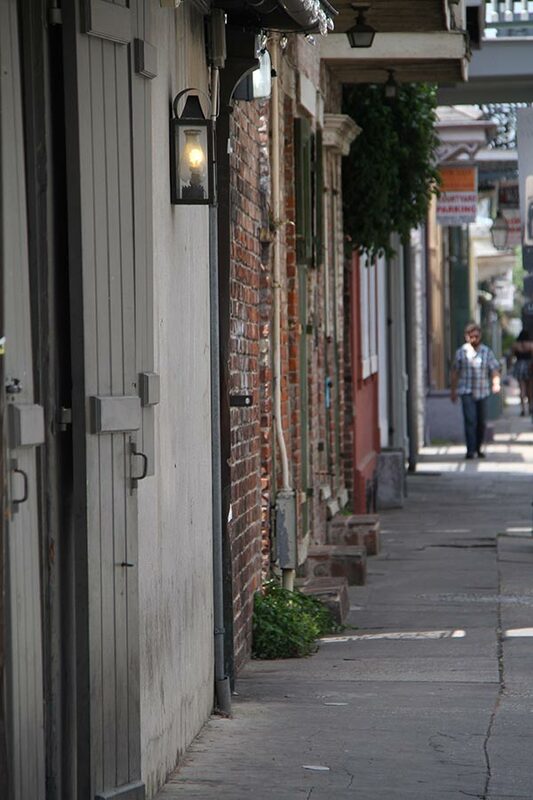 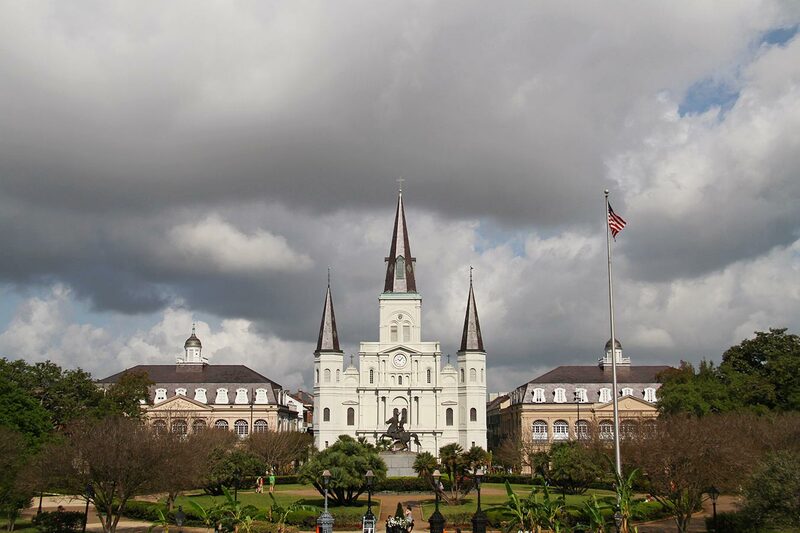 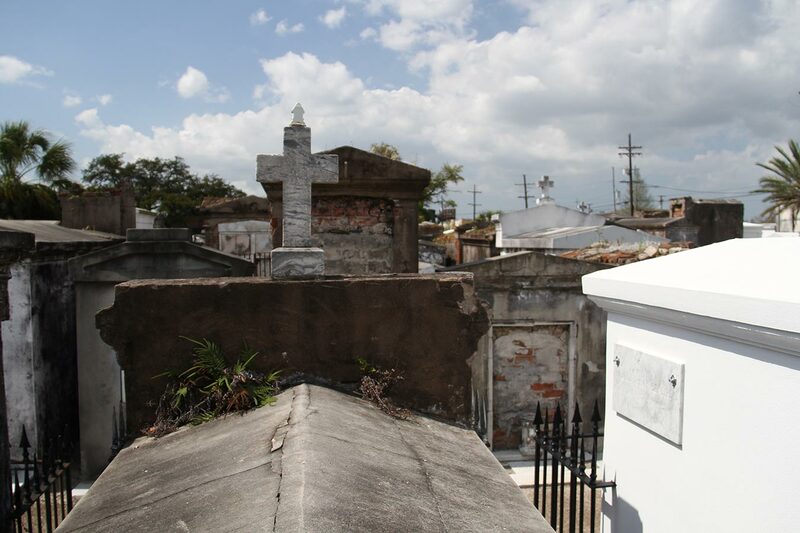 The Vieux Carré is the oldest neighborhood in the city, where New Orleans developed after being founded in 1718. 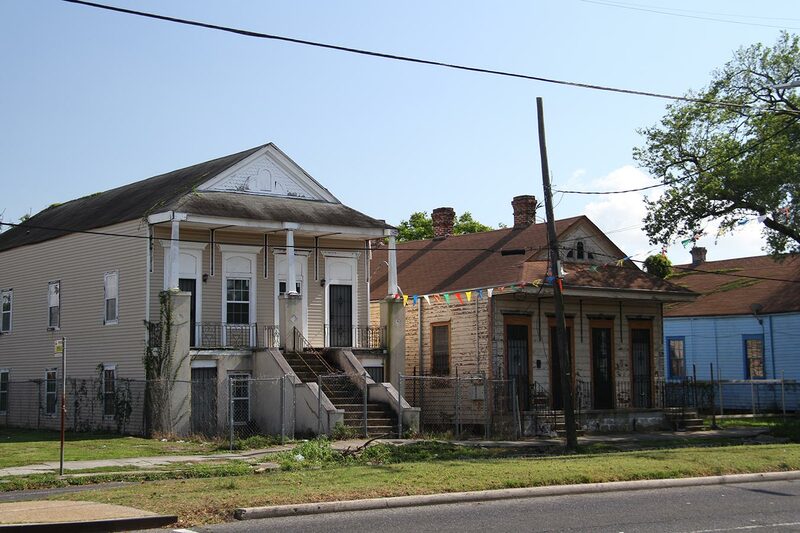 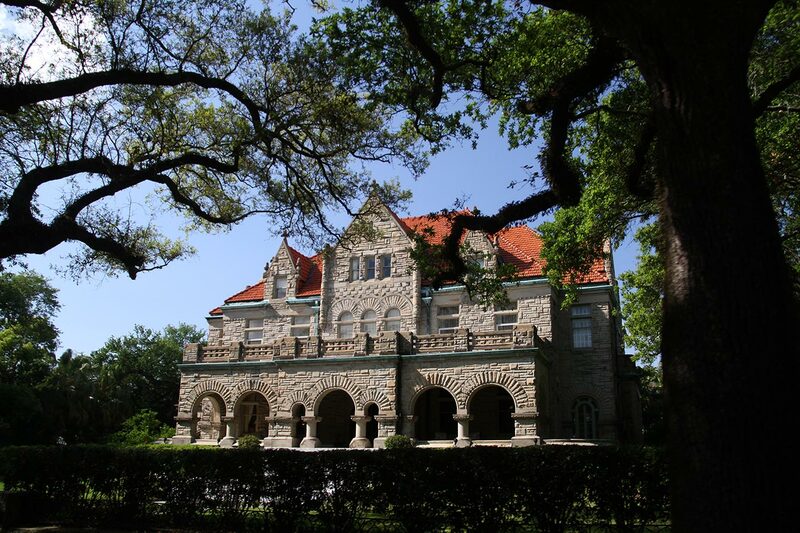 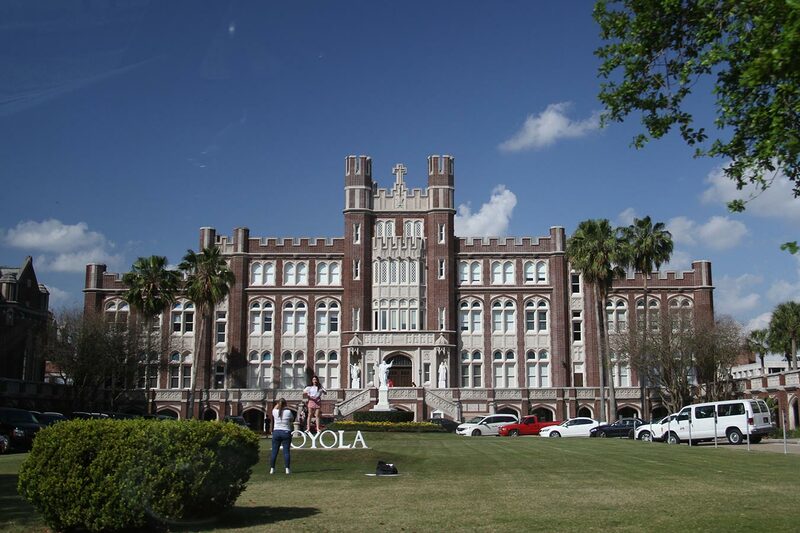 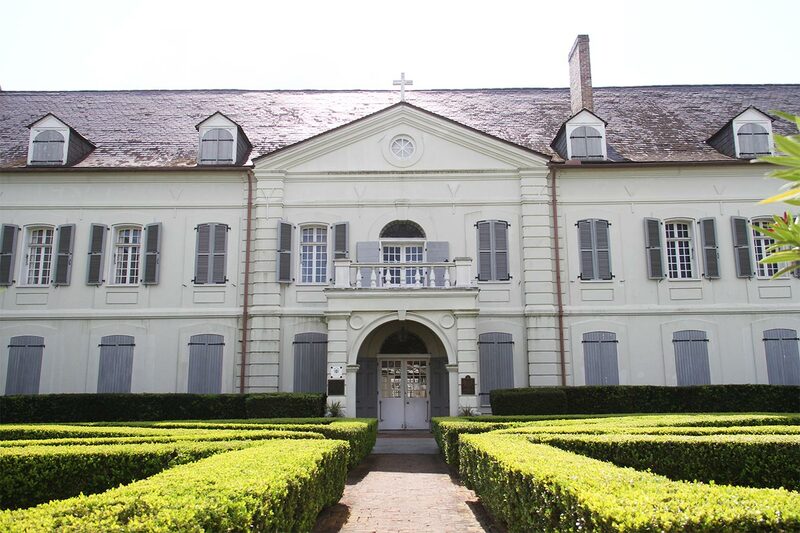 We do every street of the quarter during 5 hours before taking a break and driving along St Charles avenue to see the massive manors lining up there. 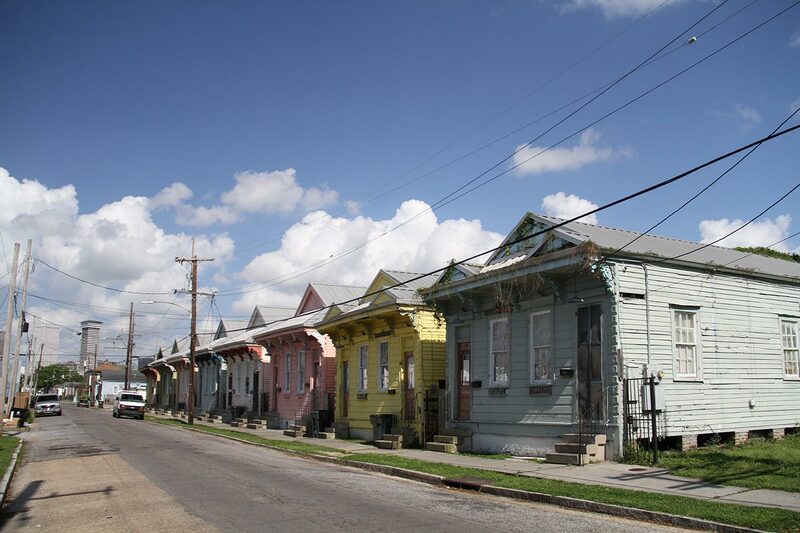 We make a detour to see a neighborhood still wearing scars of the Katrina Hurricane. 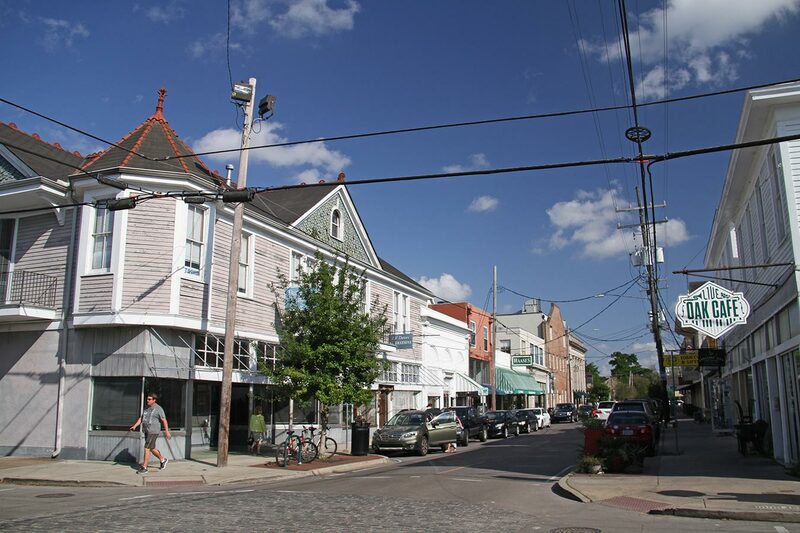 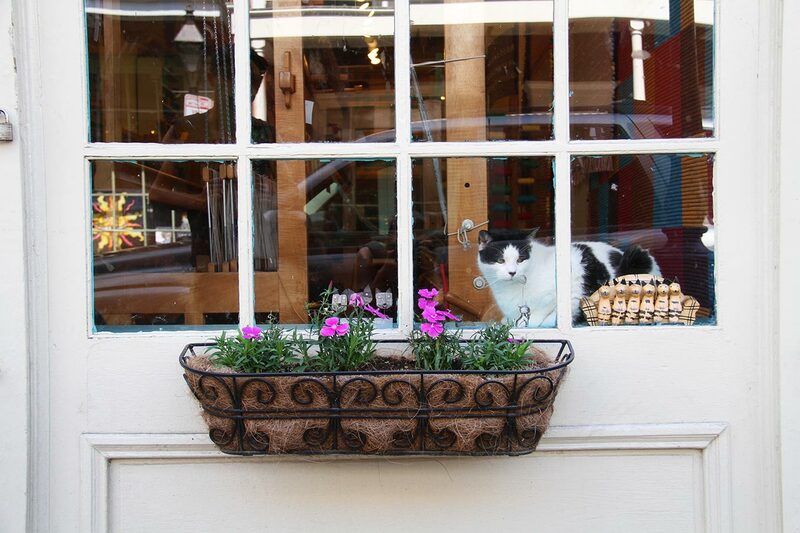 All the way to the end of the avenue, we stroll along Oak Street, an small and trendy strip. 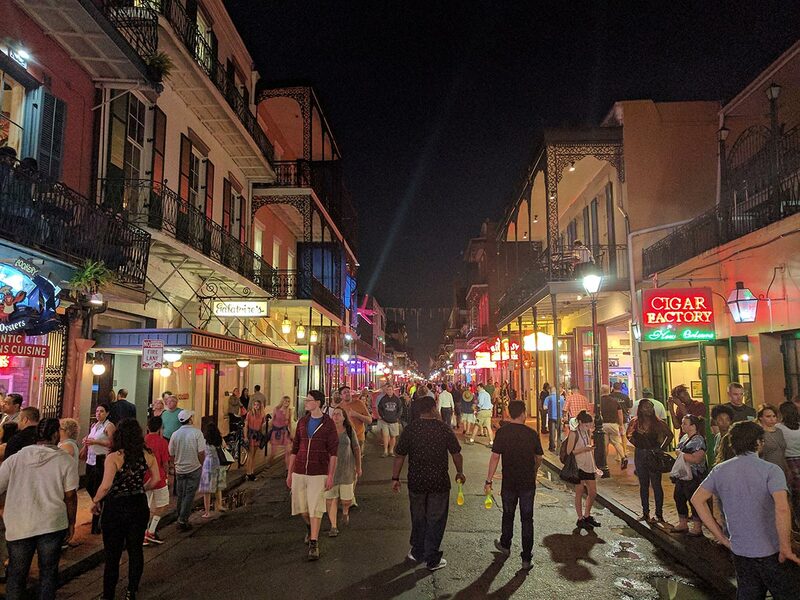 Back in the city in the evening we walk again in the French Quarter, Bourbon Street is where all the bars and clubs are. 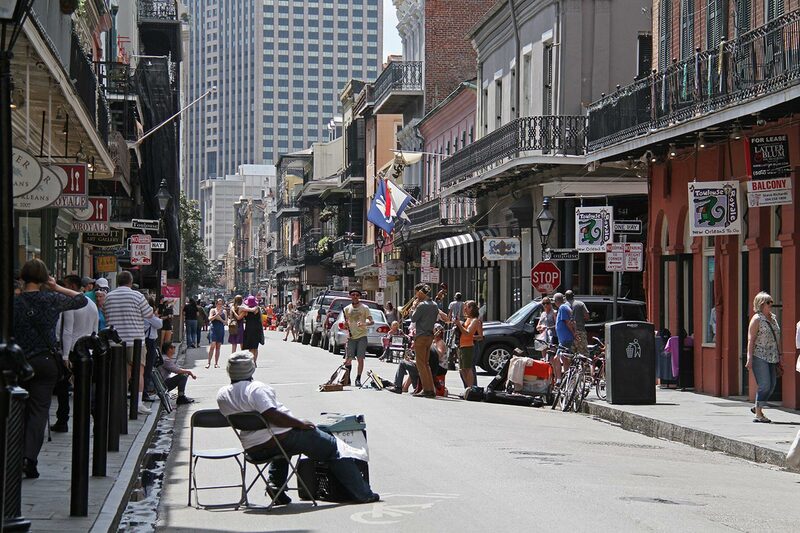 People buy alcoholic drinks “to go”, mostly daiquiris, and walk along the street. 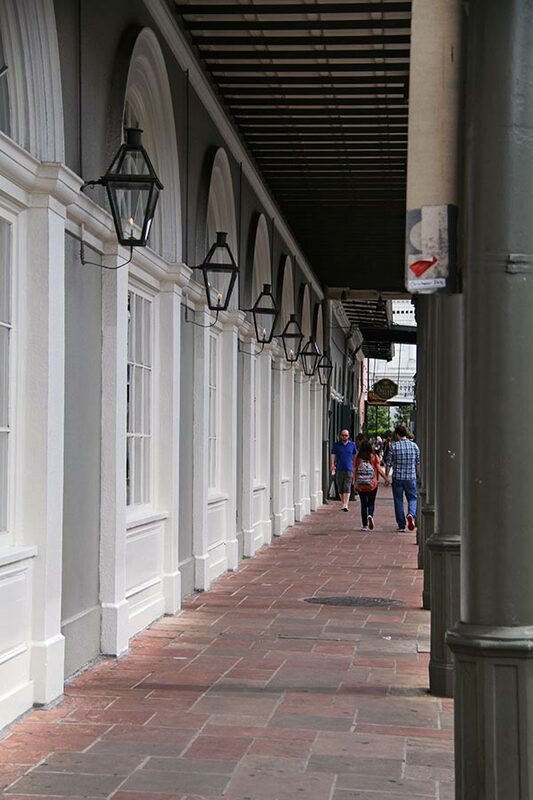 Some still throw Mardi Gras beads from the balconies. 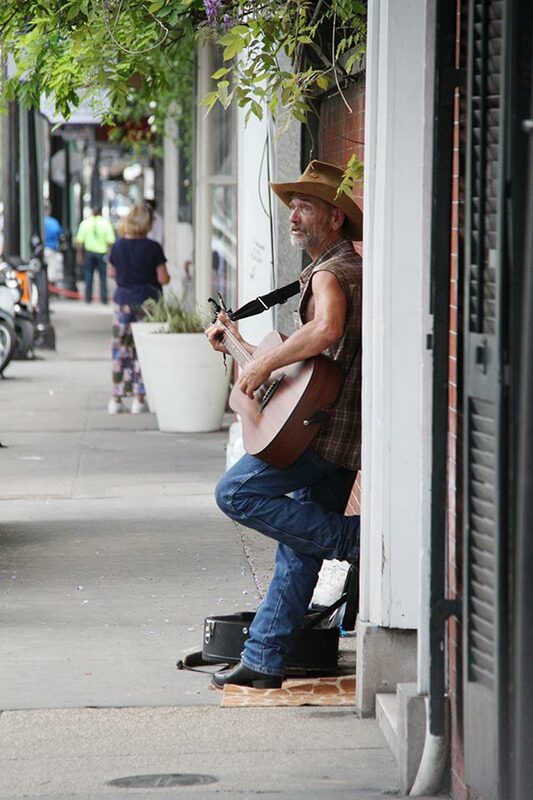 Every bar has live music. 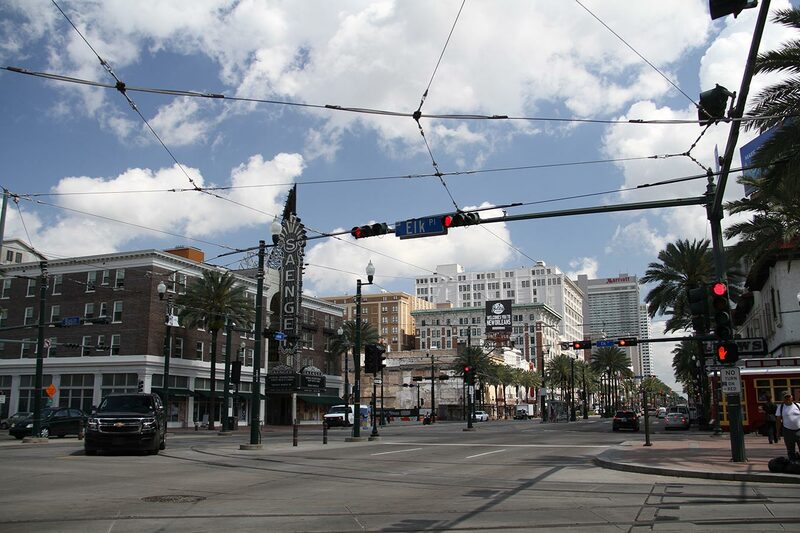 We got to wonder what the place would look like on the weekend as we’re only Tuesday and it’s pulsing! 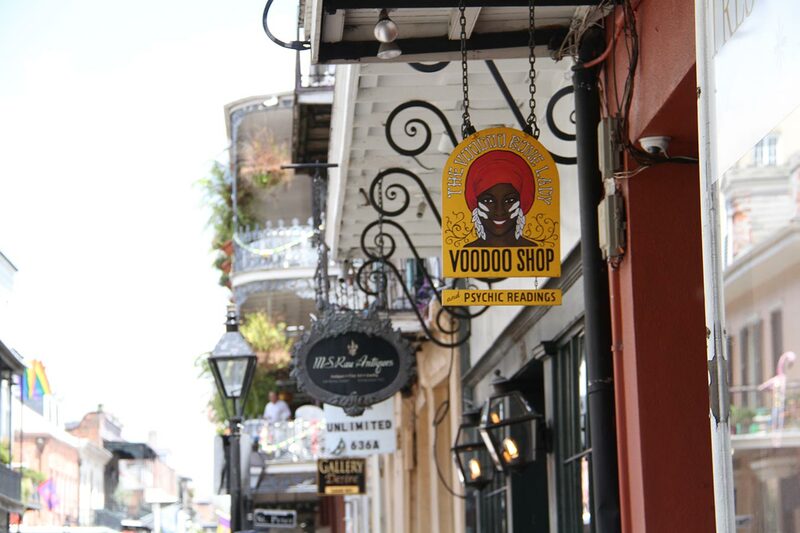 North East of the French Quarter is Frenchmen Street, a finer place to go out and where we chose to watch a live bend. 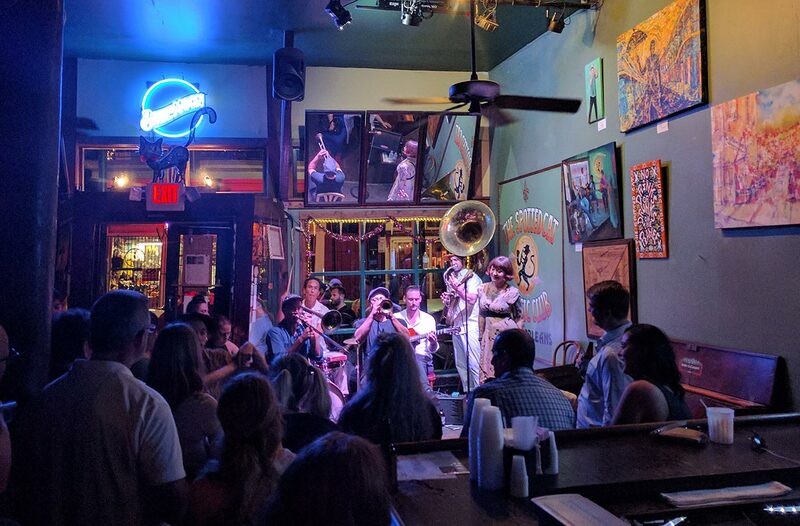 At the Spotted Cat, the jazz bands attract a lot of people in a tiny space. 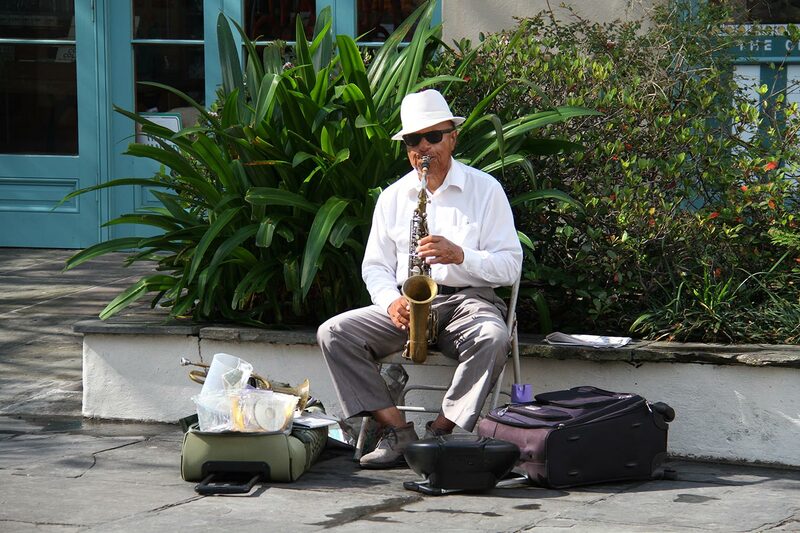 It’s understandable, the music is great and the atmosphere cheerful.